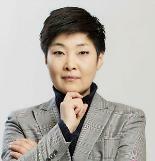 SEOUL -- Cho Hyun-woo, the goalie credited with fending off a volley of shots to help South Korea beat defending champions Germany in their final Group F match, has become one of the hottest World Cup football players to talk about on Twitter. Although South Korea failed to advance to the last 16 and returned home early, some players left lasting impressions to fans around the world. The 26-year-old was one of them. Cho, a relatively unknown player of K League's Daegu FC, shined brightly at his World Cup debut. Many global fans praised his acrobatic and aggressive saves. In Russia, Cho conceded three goals, two of them from penalty kicks. 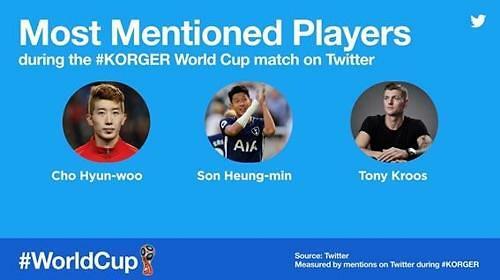 Shortly after the match between South Korea and Germany was over, the South Korean branch of Twitter analyzed tweets which included "#KORGER", a hashtag dedicated for the match, and found Cho was the most mentioned player with more than 200,000 times per minute. Tottenham Hotspur star Son Heung-min, who scored a goal during the match, was the second most mentioned and German midfielder Toni Kross was third.